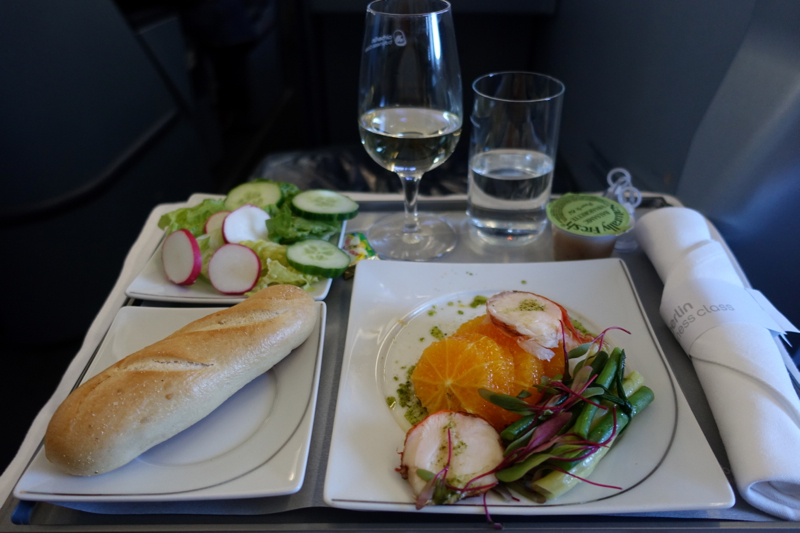 This Air Berlin Business Class A330 Review for a recent NYC JFK to Berlin TXL flight is part of a new Europe trip report. 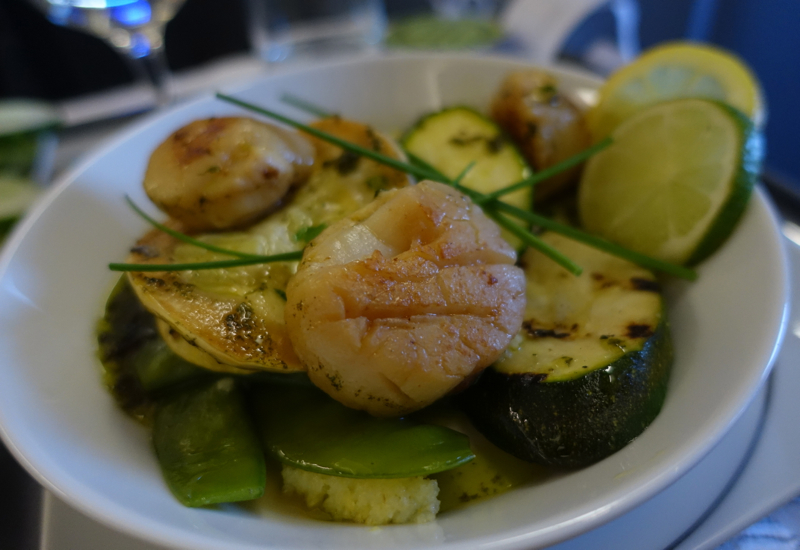 It was booked with 40,000 pre-devaluation British Airways Avios. 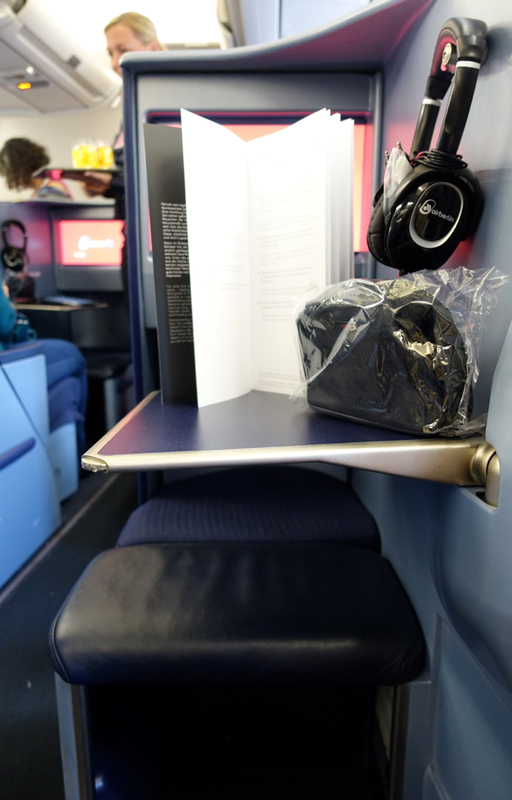 Air Berlin's 2 class A330 offers 19 Business Class seats in a 1-2-1 configuration, with staggered seating, all flat bed seats with direct aisle access. The best seats if you're traveling solo are window seats, such as 3A, 3K, and 5A. I don't recommend 5K, since it's right by the lavatory, so noise and foot traffic can be disturbing. Seats that are right on the aisle, such as my seat 4H, feel a bit exposed and aren't as private as the ones right by the window. 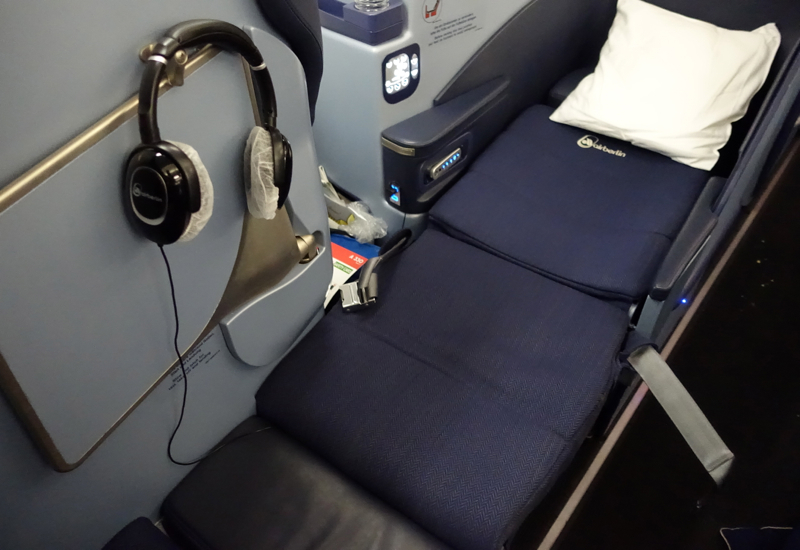 Couples will want to try for 3E and 3F, “honeymoon” seats that are in the middle, so not too close to either of the galleys. 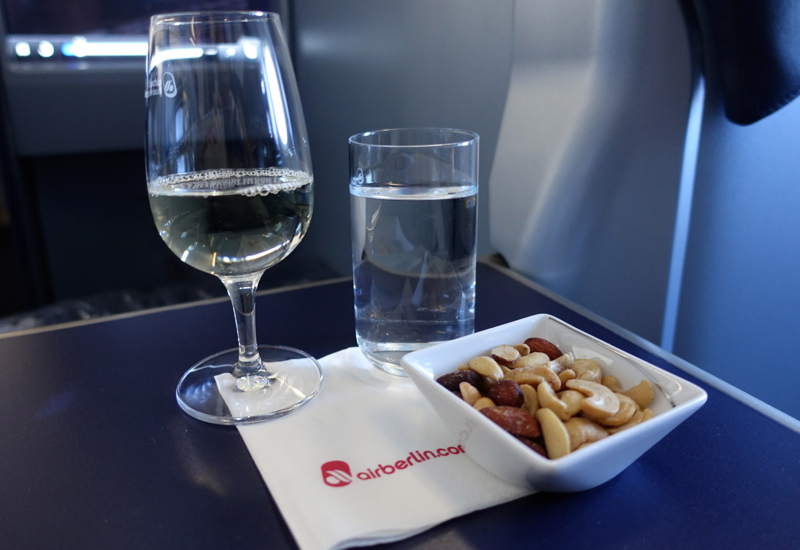 Air Berlin's Business Class Seat is quite narrow, at 20 inches wide, and the upright position for takeoff and landing is very upright, so not that comfortable. That said, the lounge position available from the seat control was quite comfortable. 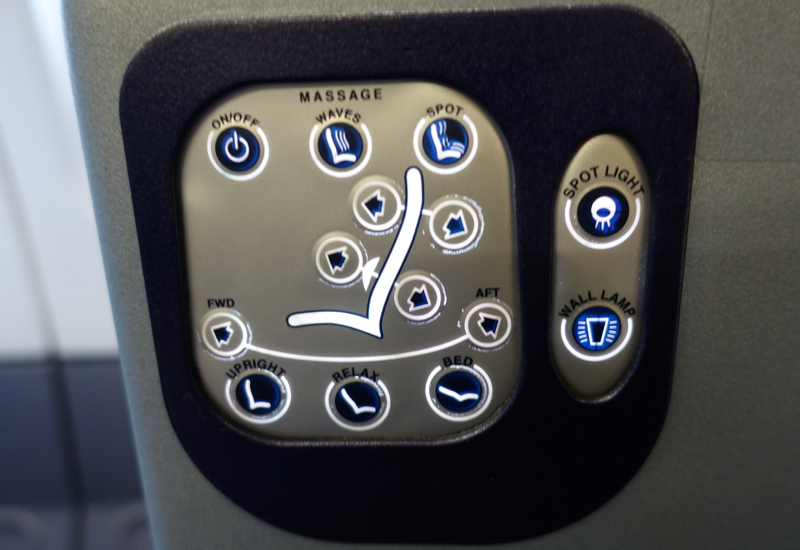 The massage function, however, couldn't be detected at all, at least not on my seat. While bags need to be stowed overhead for take-off and landing, there was ample space for one of my carry-ons to the right of my aisle seat, 4H, and also storage under the ottoman that was convenient for stowing my shoes. I liked that there was already a bottle of water by my seat, within easy reach. Air Berlin's amenity kit was waiting on the tray table, and was a black Tumi bag with red accent (in keeping with Air Berlin's colors) with the essentials: sleep mask, mini toothbrush and toothpaste, lip balm, moisturizer and socks. It was one of the better business class amenity kits I've seen. 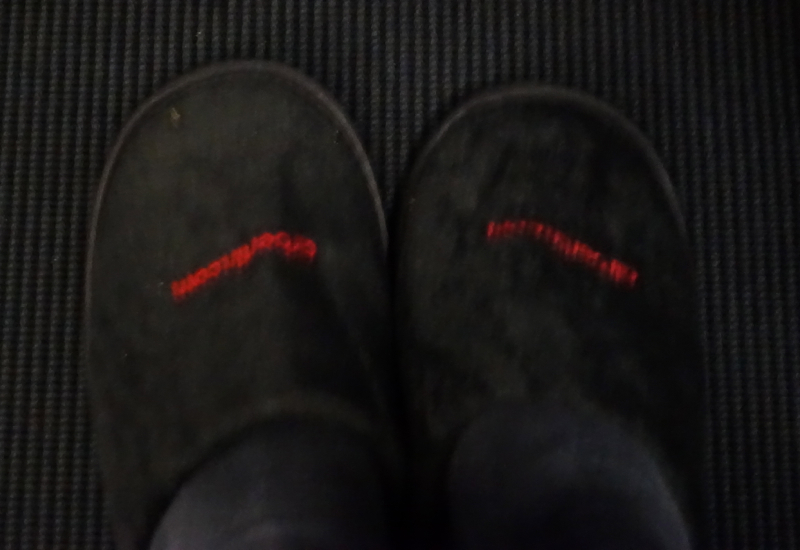 Later, a flight attendant also offered a pair of Air Berlin slippers, a nice touch, since apart from Asian airlines, you often don't get slippers in business class. 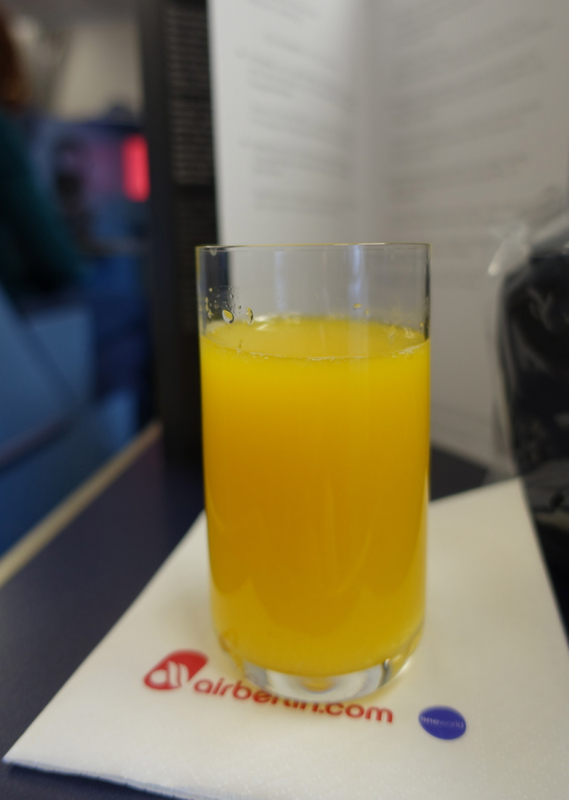 Before departure, we were offered a choice of orange juice or champagne; I chose orange juice, and it was definitely better than some other orange juice I've had; not freshly squeezed, but very fresh tasting, with some pulp. And there was a wine list, although I only looked at the white wine list given my appetizer and main course selections. 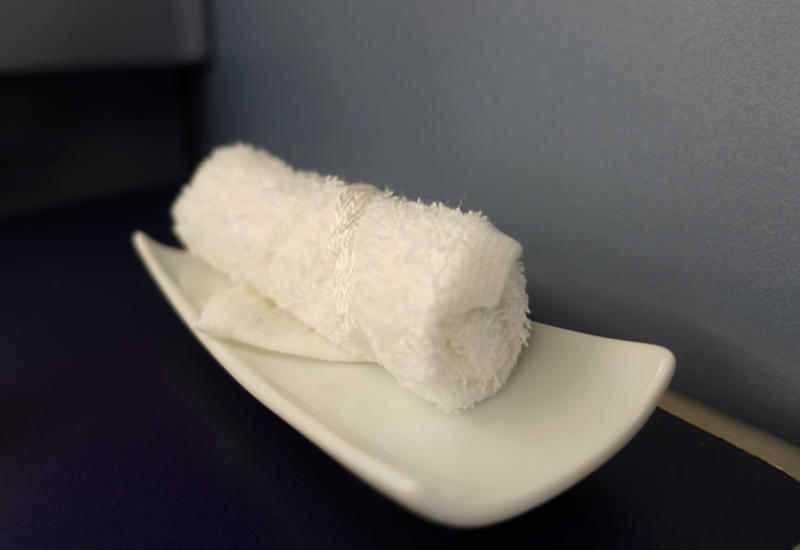 Even before take off, we were offered a hot towel, which was welcome, since I'd done a bit of running through the airport given the long security line (even the priority line) at Terminal 8. After take-off it was a bit bumpy, but the flight attendants nevertheless didn't delay starting service. We were first given our drink choice, water, and some mixed nuts. The mixed nuts were room temperature, not warm. Based on a flight attendant recommendation, I chose the Dr. Koehler white burgundy, which was good, though would have been better if it had been properly chilled. 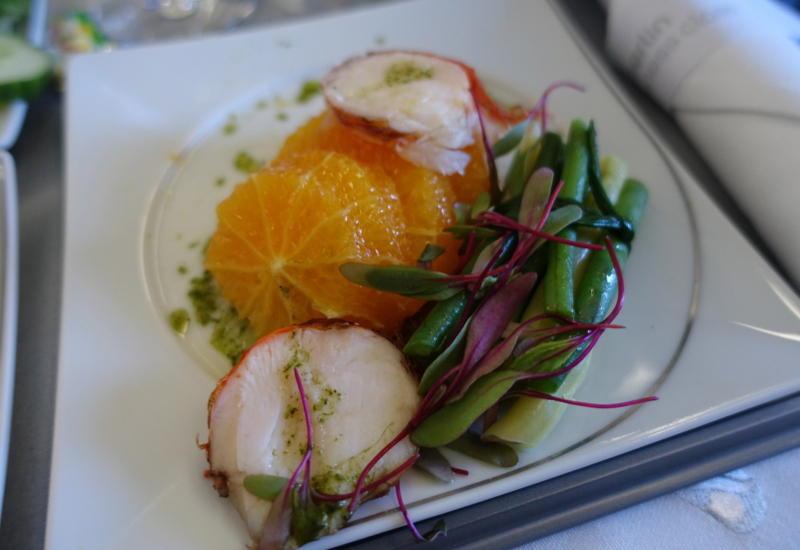 The meal was brought on a tray and included my appetizer selection of lobster medallions with orange slices and green beans. This was fresh tasting, but pretty disappointing, since there were only 2 overcooked lobster medallions, and I didn't think the combination of oranges and green beans worked very well. My entree of fried scallops with polenta and squash, however, was comparatively very good–more buttery than I'd have liked, but the scallops were, incredibly, still tender, and went very well with the polenta and squash. For dessert, I chose the cheese plate. The cheese that was described as Roquefort wasn't a blue cheese at all, and had an ash coating, similar to the Selles-sur-Cher cheese we sometimes get. 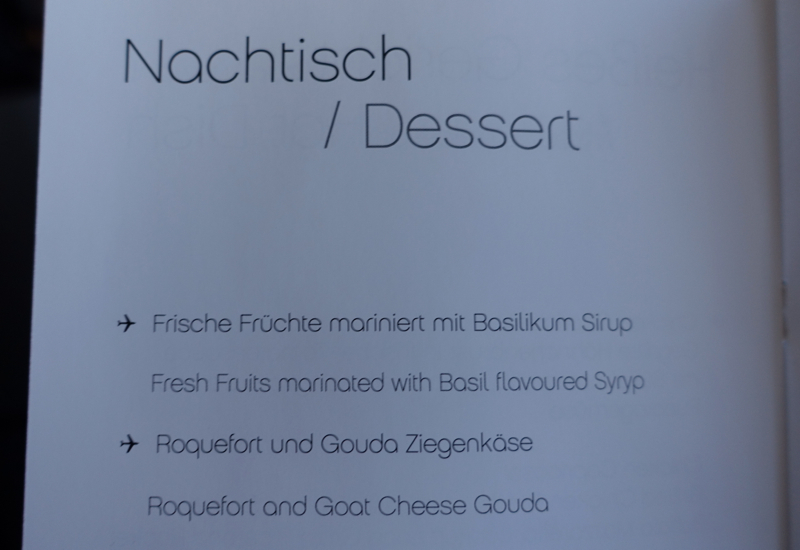 While the goat cheese Gouda was unremarkable, the ash covered cheese was delicious and better than I expected for business class. 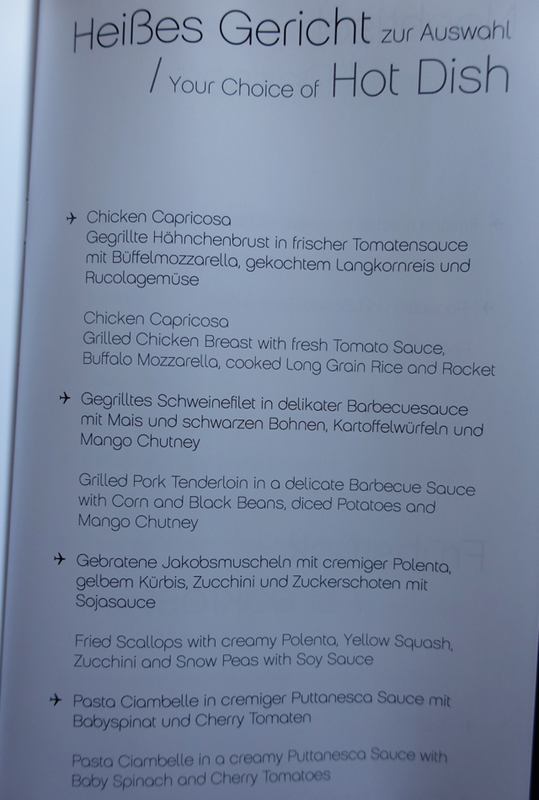 Before and during the meal I watched one of about 30 movies on Air Berlin's IFE. It was an eclectic mixture of newer films such as The Imitation Game, Still Alice, American Sniper, etc. with films from a few years ago, such as Never Let Me Go, to films from the 1990s such as the one I rewatched, The Wedding Singer with Adam Sandler and Drew Barrymore. 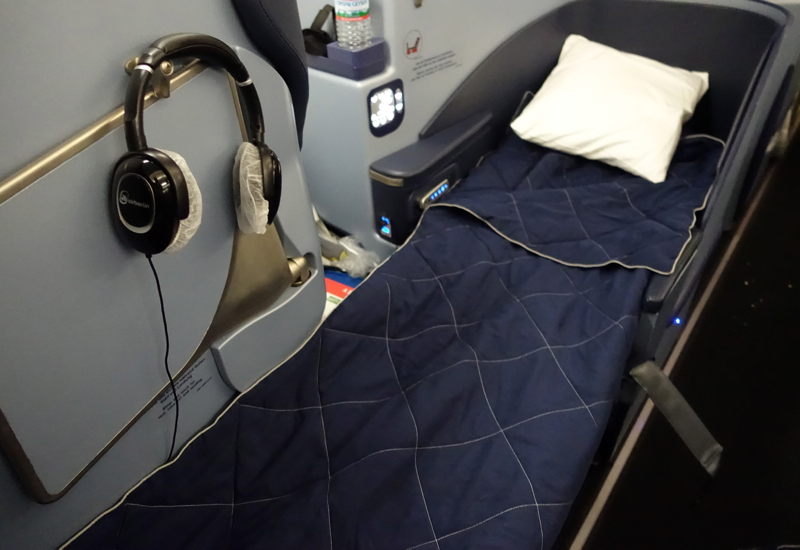 Air Berlin's Business Class bed does go fully flat, and thanks to the built in ottoman is more sturdy than British Airways' business class bed. But it's definitely not for for tall people, at less than 6 feet in length. In fact, at 5'7, I found it just right, since if I stretched my toes forward I touched the end of the footwell. There isn't of course any turndown service, but here's a photo of the duvet, which I used as a mattress pad earlier in the night, to make it more comfortable. 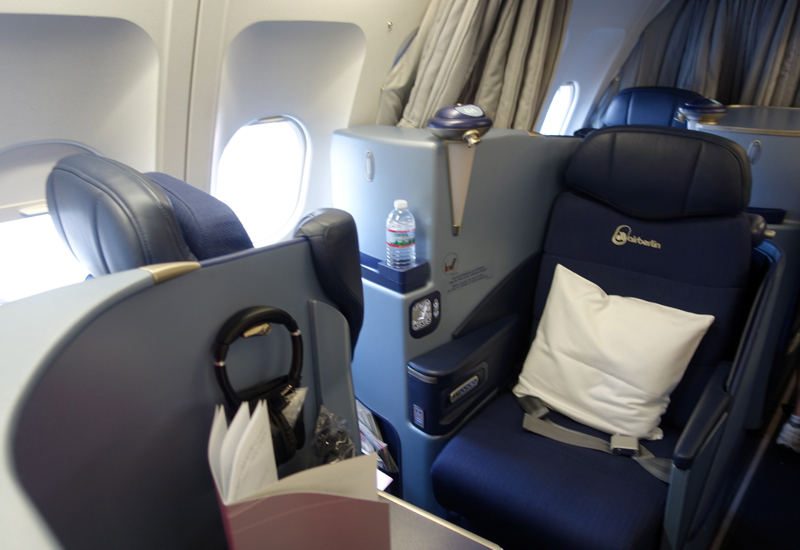 With a sleeping aid, I was able to get about 3 hours of sleep, which is good for me on a flight to or from Europe. 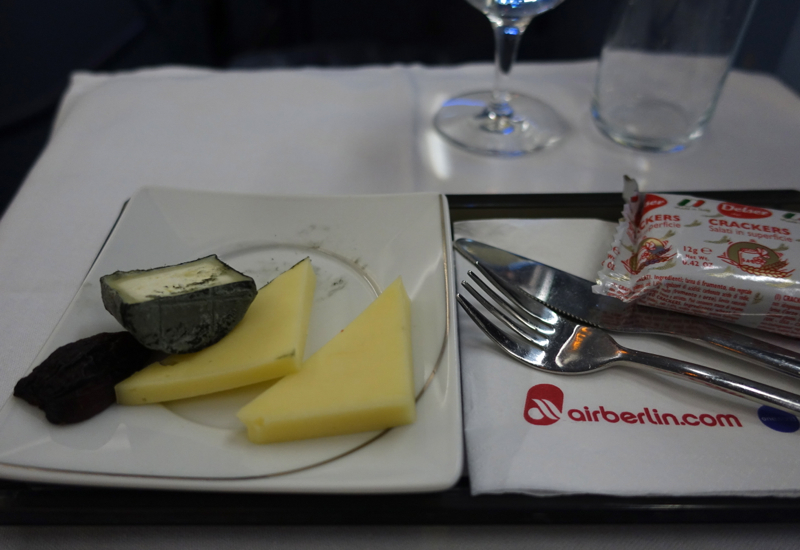 Air Berlin is a low cost carrier, so I knew going in that this was not going to be a comparable business class to, say, Singapore Airlines, or have a mattress pad as JAL Skysuite Business Class does. I also knew that the business class bed is short, which is why I put myself on this flight, and not my 6'5 husband. Given all that, I thought it was a solid product for what it's trying to be, and was pleasantly surprised that I got the sleep I did, and that the dinner entree was quite tasty. 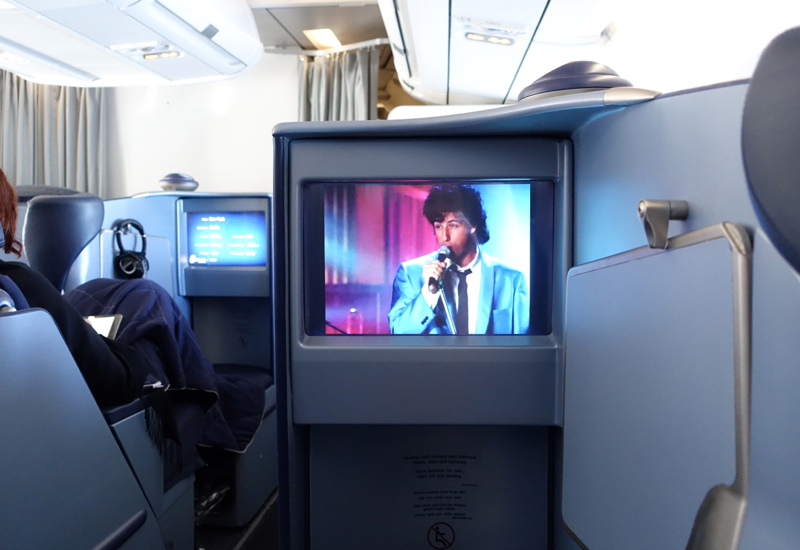 Other touches such as the water bottle within easy reach and good sound quality of the IFE were also pluses. 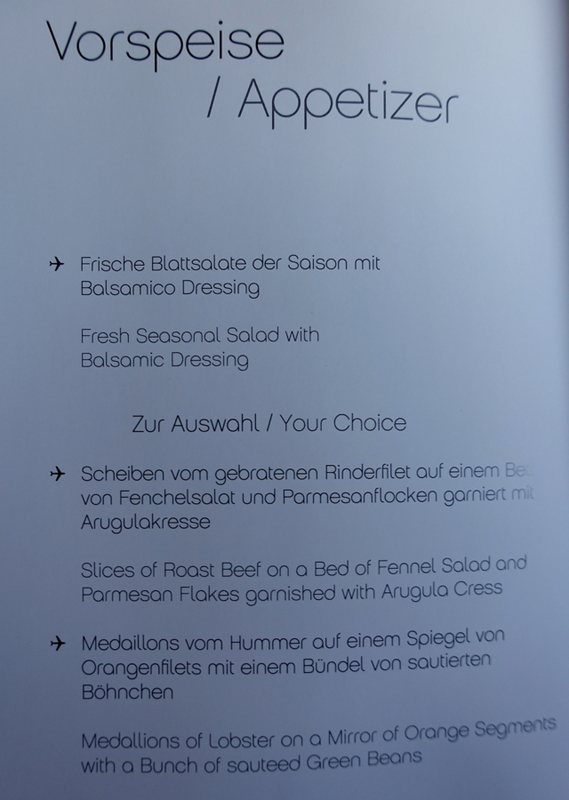 If you've flown Air Berlin Business Class, what was your experience? Which Frequent Flyer Miles for Which Destination?